Home » Introductions » ex-Des’segnay new band ! A few months ago, we told you about Des’segnay announcing they would disband on December 23rd. At that time, they took this decision because of the departure of their bassist (Nao) without whom they didn’t feel like continuing. 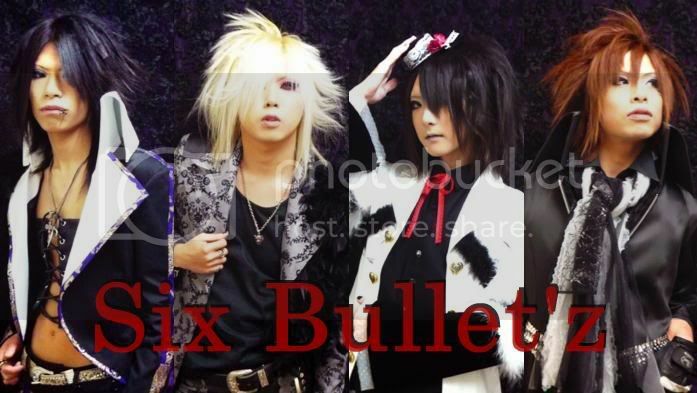 But they three remaining members recently formed a new band called Six Bullet’z ! Approximately the same look, with the exact same members (exept Nao of course, and plus a new guitarist called Yuiha). The band has performed its first live on April 12th and has distributed its first CD on that same day. The CD contains one track entitled 『Discord』.